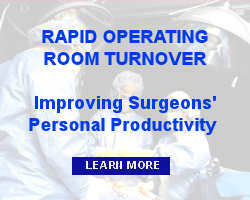 Surgery Management Improvement Group offers an extensive library of medical, operating room, and other related clinical management and related online links and resources. Links are displayed alphabetically by category (on separate pages). To help in your evaluation of the link, a brief explanation is provided for each. Inclusion in this list does not represent an endorsement by this web site, although we do try to be selective - and reserve the right to do so.